A desirable lineup in an unfamiliar Wellington venue. 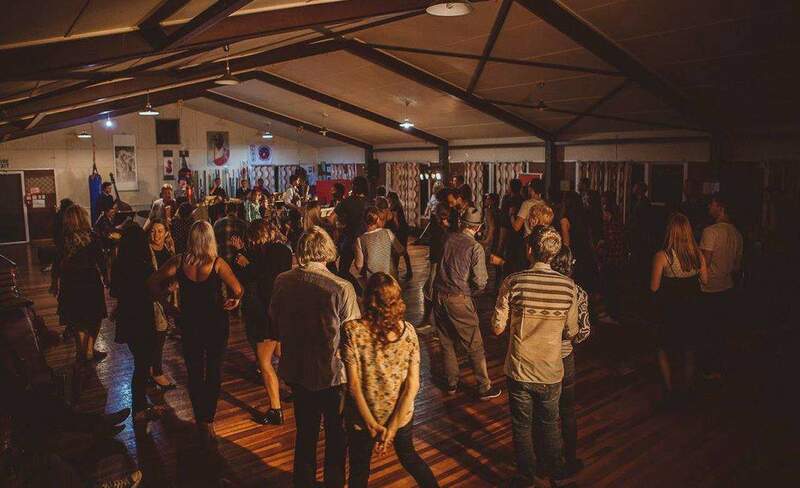 Old Hall Gigs are taking over the Wellington Chinese Sports and Cultural Centre in Berhampore for their next event. Motte is the project of Anita Clark, who makes some incredibly beautiful music, with ambient, hazy vocals and layers of violin. Before the set, you'll be invited to lie down to enjoy the acoustics of the tall, wide expanses of the venue. Java Dance Theatre presents visceral dance theatre works in New Zealand and abroad. Java's Artisan Series includes RISE, breadmaking on a massive scale to build a community, and The Wine Project where grapes are crushed and fermented in a bacchanalian celebration of the light and dark side of humanity. For this gig, they'll present an excerpt from their upcoming show, Chocolate. Michael Norris is an award-winning Wellington-based composer, software programmer, and music theorist. At this gig, he presents Peter Ablinger's Weiss/Weisslich 31e for water and glass tubes, a concert installation involving dripping sponges. Essa may ranapiri (Ngāti Raukawa | takatāpui they/them/theirs) is a poet from Kirikiriroa, Aotearoa. They are part of a local writing group, a graduate of IIML's 2017 Masters in Creative Writing, and Victoria University Press will soon publish their first collection of poems. Please BYO whatever you like to drink, in your own cup, plus a cushion for your bottoms, so you don't have to sit on the hard floor.